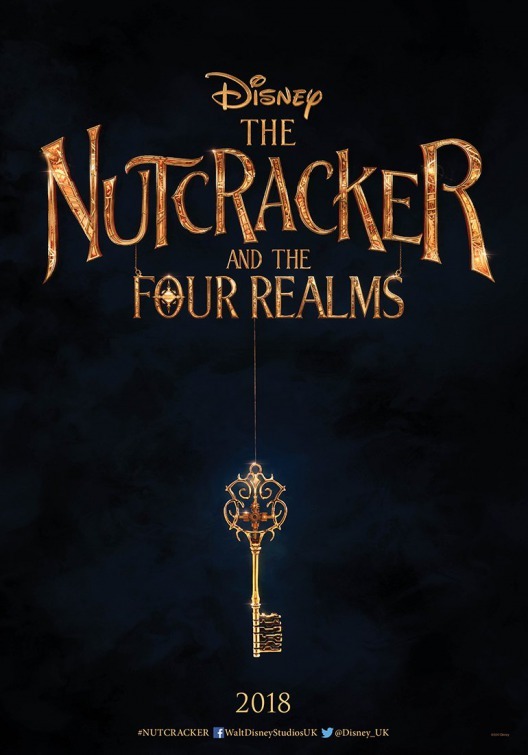 Thoughts: It doesn’t take much to get me to go on a Disney journey so the first preview of The Nutcracker and the Four Realms already has me packing my bags. Sure, it has a whiff of the irksome overproduction of Oz: The Great and Powerful, Alice in Wonderland and its sequel but it also has shades of The Chronicles of Narnia. The visuals in this brief teaser alone are a feast for eyes that have been on a drab buffet lately. Attempts to bring E.T.A. Hoffmann’s tale to the screen before have debuted to various degrees of success, either focusing too much on story or too much on ballet/music. Maybe new screenwriter Ashleigh Powell can make sense of it all and she’ll surely be helped by directors Lasse Hallström (The Hundred-Foot Journey) and Joe Johnston (Jurassic Park III). Starring Keira Knightley (Anna Karenina), Morgan Freeman (Lucy), Helen Mirren (Woman in Gold), and Mackenzie Foy (Interstellar), The Nutcracker and the Four Realms doesn’t arrive for another year but this overture to the main event has generated some pleasant excitement this holiday season.